Tripoli's only working airport was targeted in an airstrike on Monday, as forces loyal to renegade Libyan general Khalifa Haftar continued their advance on the capital, ignoring global calls for a truce. A USA amphibious hovercraft departs with evacuees from Janzur, west of Tripoli, Libya, Sunday, April 7, 2019. 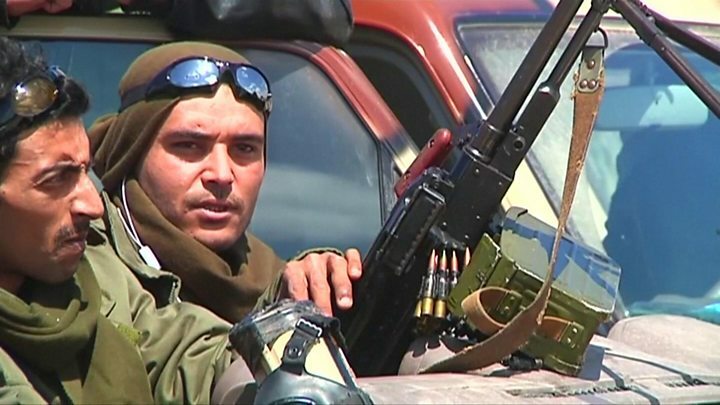 Hifter's forces have clashed with rival militias which support the United Nations -backed government that controls Tripoli and the western part of the country.